Infographic developed by Injury Free Nova Scotia, 2015. Used by permission. Korn, D., Hurson, T., & Reynolds, J. (2005). Commercial Gambling Advertising: Possible Impact on Youth Knowledge, Attitudes, Beliefs and Behavioural Intentions. Ontario Problem Gambling Research Centre. Felsher, J., Derevensky, J., & Gupta, R. (2004). Lottery playing amongst youth: Implications for prevention and social policy. Journal of Gambling Studies, 20, 127–153. Poulin, C. (2000). 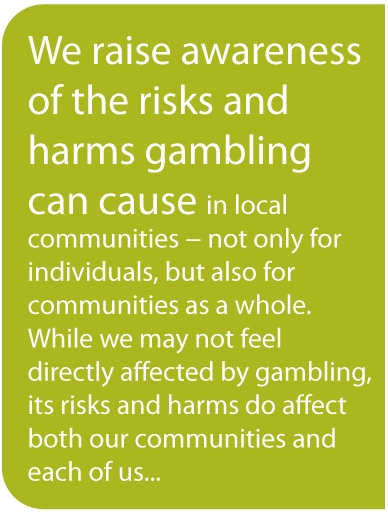 Problem gambling among adolescent students in the Atlantic provinces of Canada. Journal of Gambling Studies, 16(1), 53-78. Lee, G. P., Storr, C. L., Ialongo, N. S., & Martins, S. S. (2011). Compounded effect of early adolescence depressive symptoms and impulsivity on late adolescence gambling: A longitudinal study. Journal of Adolescent Health, 48(2), 164-169. Breyer, J. L., Botzet, A. M., Winters, K. C., Stinchfield, R. D., August, G., & Realmuto, G. (2009). Young adult gambling behaviors and their relationship with the persistence of ADHD. Journal of Gambling Studies, 25(2), 227-238. Rush, B. R., Bassani, D. G., Urbanoski, K. A., & Castel, S. (2008). Influence of co‐occurring mental and substance use disorders on the prevalence of problem gambling in Canada. Addiction, 103(11), 1847-1856. 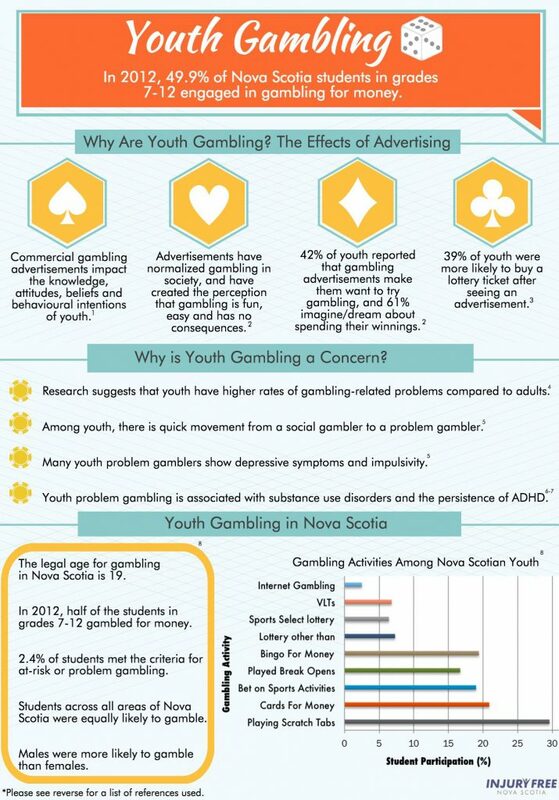 The community of the Cobequid region of Nova Scotia set out to discover what their youth thought about gambling, how it impacted them, what effect advertising and marketing had in their lives, and how we can improve our system for future generations. This video shows their thoughts in their own words. GRINS Chair, Bruce Dienes, provides the “talking head” segments.